1. 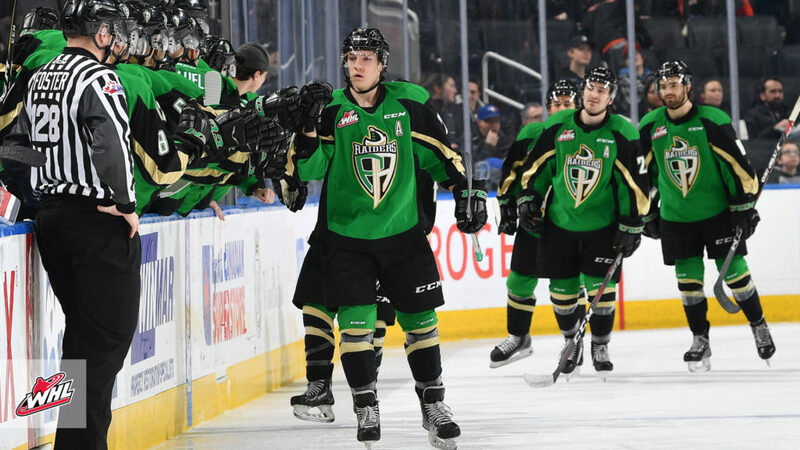 Brett Leason, Prince Albert Raiders: 2019 NHL Draft prospect Brett Leason of the Prince Albert Raiders scored his 33rd goal of the season as part of a three-point night in a 5-1 win against the Edmonton Oil Kings. Leason scored Prince Albert’s third goal of the game, adding assists on the team’s first and fifth goals in the contest. The Calgary, Alta. product now has 78 points (33G-45A) in 44 games this season to lead the Raiders and rank fourth overall in league scoring. In 179 WHL regular season games, Leason has 129 points (57G-72A). 2. 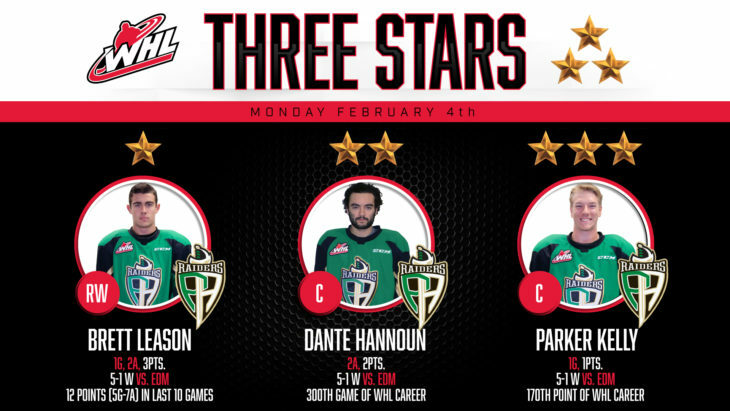 Dante Hannoun, Prince Albert Raiders: Prince Albert Raiders forward Dante Hannoun tallied a pair of assists Monday in a 5-1 win against the Edmonton Oil Kings. Hannoun picked up helpers on the Raiders’ first two goals of the game, drawing primary assists each time. The Delta, B.C. product has now recorded 14 points (5G-9A) in 14 games with the Raiders to give him 50 points (24G-26A) in 42 games this season. Playing in the 300th game of his WHL career Monday, Hannoun now has 262 points (103G-159A) over his WHL career. 3. Parker Kelly, Prince Albert Raiders: Ottawa Senators prospect Parker Kelly of the Prince Albert Raiders scored his 24th goal of the season Monday, aiding the Raiders’ 5-1 victory against the Edmonton Oil Kings. Kelly scored 4:04 into the second period for the Raiders’ second goal, which would stand up as the game-winning goal in the contest. The Camrose, Alta. product has already recorded three-straight 20-goal seasons and is on the cusp of back-to-back 50-point campaigns with 49 points (24G-25A) in 51 games this season. In 260 WHL regular season games, Kelly has 170 points (82G-88A). 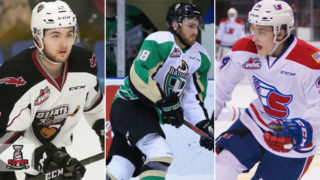 In the final meeting of the 2018-19 WHL Regular Season between the division leaders in the WHL’s Eastern Conference, the Prince Albert Raiders came to play. 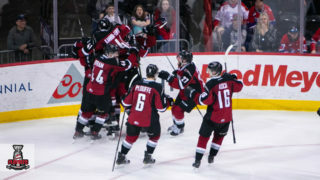 2019 NHL Draft prospect Brett Leason tallied a goal and two assists, Dante Hannoun added a pair of helpers, and Parker Kelly (Ottawa Senators) notched the game-winning goal as the Raiders took a 5-1 win over the Edmonton Oil Kings at Rogers Place. 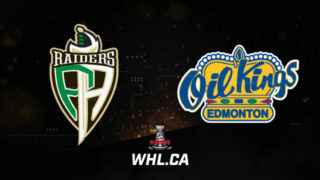 The win allowed the Raiders to gain a measure of revenge against the Central Division leaders who bested the Raiders by a 6-3 score Friday night in northern Saskatchewan. With an over-abundance of offensive talent on either side at all positions, it was rookie Ozzy Wiesblatt getting on the scoreboard first as a shot on net from Hannoun redirected itself off Wiesblatt legally and past Todd Scott for the opening goal. 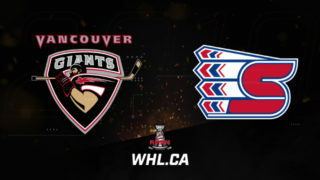 The Oil Kings would respond 47 seconds into the second period as Vince Loschiavo picked up the loose puck off a scrum in front of Ian Scott (Toronto Maple Leafs), made a quick move to the side, and potted the Oil Kings’ lone goal of the game. Hannoun would set up the game-winning goal shortly after though as he cut in from the outside, feeding the puck up to Kelly in the low slot for his 24th of the season to put the Raiders in front for good. 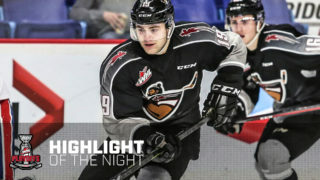 Before the midway mark of the period, the Raiders struck again as 2019 NHL Draft prospect Brett Leason used his speed to take control of a loose puck in the neutral zone before breaking in alone and out-waiting the goaltender to push the game to a 3-1 score. In the third, Jakob Brook cleaned up a rebound off a Loeden Schaufler shot for his fifth goal of the season. Cole Fonstad (Montreal Canadiens) would round out the scoring 10:53 into the final period of regulation, scoring on a spin-around goal in the slot to make it a 5-1 win. Between the pipes, Ian returned the favour in the battle of the Scott goaltenders with 25 saves on 26 shots. Todd Scott stopped 41 shots in the defeat. Noah Gregor (San Jose Sharks) picked up an assist on Fonstad’s goal to extend his point streak to four games. Oil Kings’ captain Trey Fix-Wolansky (Columbus Blue Jackets) did the same with an assist on his team’s lone goal. Schaufler’s assist on the Brook goal was his first point with the Raiders. 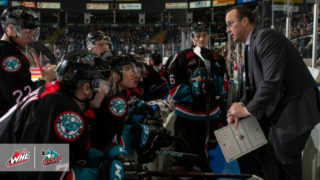 The Raiders’ road trip continues Friday with a battle against the Calgary Hitmen as the third and final game of the Corral Series.